English surgeon; born in 1828; died in London July 18, 1870. He studied at University College, London (M.B. 1857), and became a fellow of the Royal College of Surgeons in 1855. He was appointed surgeon at the hospital for epilepsy and paralysis, and later ophthalmic surgeon of St. Bartholomew's Hospital. 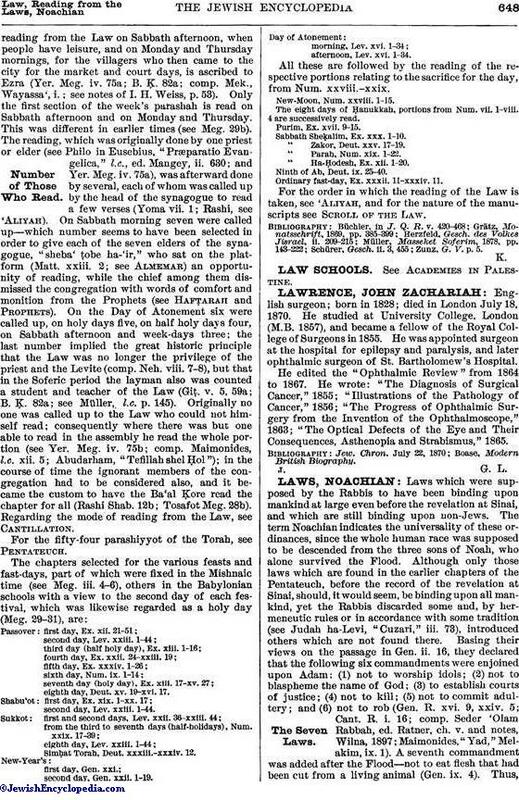 He edited the "Ophthalmic Review" from 1864 to 1867. He wrote: "The Diagnosis of Surgical Cancer," 1855; "Illustrations of the Pathology of Cancer," 1856; "The Progress of Ophthalmic Surgery from the Invention of the Ophthalmoscope," 1863; "The Optical Defects of the Eye and Their Consequences, Asthenopia and Strabismus," 1865.